Why do I need a surety bond for my Illinois Notary Public commission? All appointed notaries are required to file this bond with the Secretary of State, in accordance with the Illinois Notary Handbook Article II 2-105. A surety bond is a three-way agreement between a Principal (the Illinois Notary Public), an Obligee (Illinois Secretary of State), and a surety company (the company backing the bond). A surety bond does not function like an insurance policy for the Principal; instead, it protects the Obligee and the Illinois public against any damages caused by negligence or fraud on behalf of the Principal. 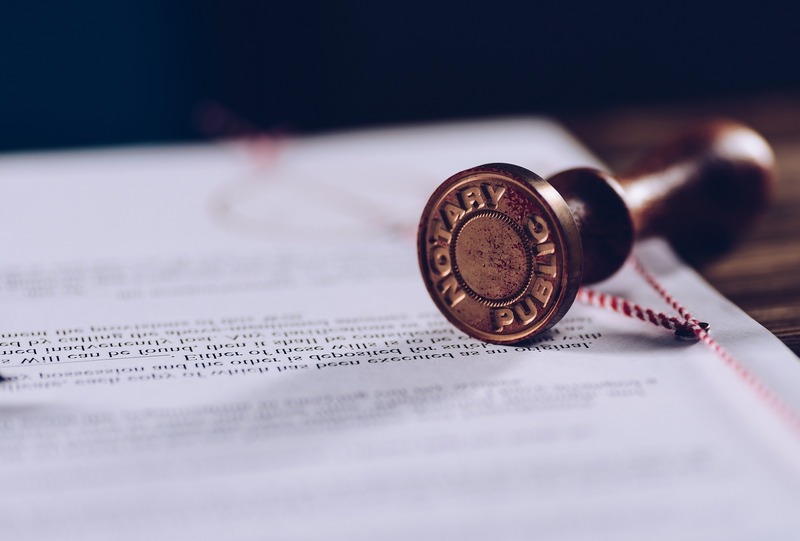 The bond is a guarantee that the Principal understands and fully agrees to comply with all rules and regulations pertaining to their Notary Public appointment. This $5,000 bond runs for 4 years (1 year for a non-resident), and costs $100 (non-residents must apply for a quote). Until it is filed with the Secretary of State, the Notary will not be allowed to perform their duties. If the Notary Public violates the terms of their appointment, and therefore the terms of their bond, there will likely be a claim filed against the bond in order to cover the financial damages. The surety bond will pay the damages (up to the amount of the bond), at which point the Principal is obligated to fully repay the surety. In addition to repayment, the surety company may revoke the bond, which will thus make the Notary appointment invalid until a new bond can be filed. A claim against your bond can be thought of as a mark against your “credit” in the bond market, and a history of claims will cause problems in any future bond application processes. It is important to understand the terms of your appointment and bond to avoid claims, potential damages, and the violation of trust bestowed on you in your Notary appointment. If you are unable to obtain a surety bond, you will be unable to receive a Notary appointment in the state of Illinois. This bond protects the public against any damages caused by the misconduct or negligence of an Illinois Notary Public. The bond is written for $5,000, and runs for a 4-year term for a resident Notary. All appointed Notaries Public are required to file this bond with the Secretary of State before performing any of their duties, in accordance with the Illinois Notary Handbook, Article II 2-105. For Illinois resident Notaries Public, this bond costs $100 ($50 premium + $fee) for a 4-year bond. Non-resident Notaries must apply for a quote, and are only eligible for a 1-year, $5,000 bond. To apply for your Illinois Notary Public Bond, complete and submit the application below. You may also download a .pdf application, and email it to apps@southcoastsurety.com, or fax it to (949)361-9926. If you choose to email or fax your application, please download and complete a payment form and attach it to your documents. For resident applicants, your bond will be issued within 1-3 days after you submit a completed application and payment. Non-resident applicants will receive a quote for their 1-year bond, and can proceed with their application from there. Bonds are handled on a first-come, first-serve basis, but we generally issue bonds within 1-3 days.